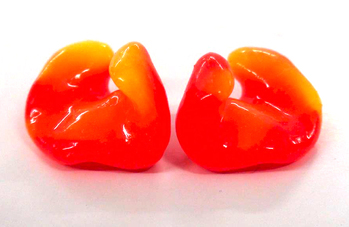 Perfect-Fit™ CSWP Custom Swimming ear plugs are made of JB1000 medical grade silicone with a special additive that makes them float. Perfect-Fit™ CSWP ear plugs are ideal for keeping water out of your ears while swimming, showering, bathing, and any sort of wet conditions. Perfect-Fit™ CSWP ear plugs are ideal for waterbabies, old and young, and are especially recommended for kids 3 and over who have ear tubes (also called "grommets" for our friends in the UK.) Express your personal style by choosing multi-color swirls, glitter and even glow in the dark.